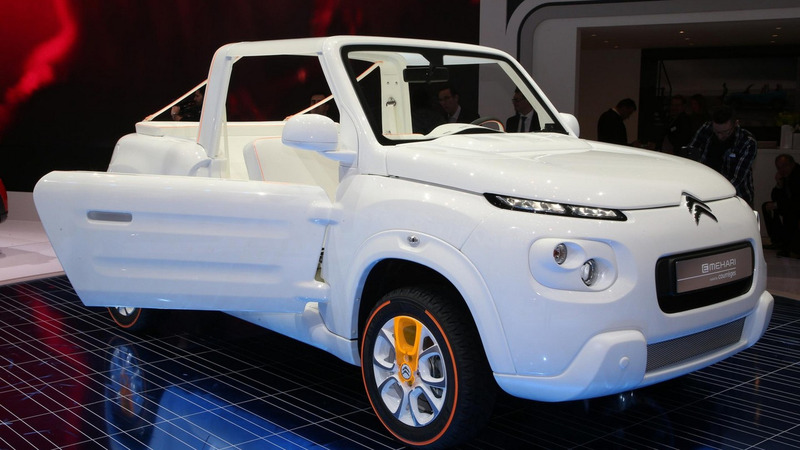 PSA is bringing back the Méhari after a hiatus of almost three decades with a brand new model that maintains the philosophy of the original, but with an electric powertrain. The car is being showcased in Geneva alongside a special concept customized by Courrèges with several cosmetic tweaks. The concept’s monochromatic exterior appearance creates a contrast with the SpaceTourer HYPHEN which is dressed in a colorful livery. The four-seater cabriolet is not entirely white as it has a few bright orange accents and comes with a Plexiglas roof that has a frosted look. The rear hoop of the regular model has been replaced on this concept by two side straps as a way to create more space in the back to haul more stuff once you open the rear flap. Power comes from the regular model’s electric motor developing 67 horsepower and uses a 30-kWh battery granting the E-MEHARI with a maximum range of 124 miles (200 kilometers). The production version will need 8 hours for a full recharge with a 16A socket and 13 hours when using a 10A socket. Production of the regular model is scheduled to begin this fall and it will be assembled at PSA’s factory in Rennes, France. 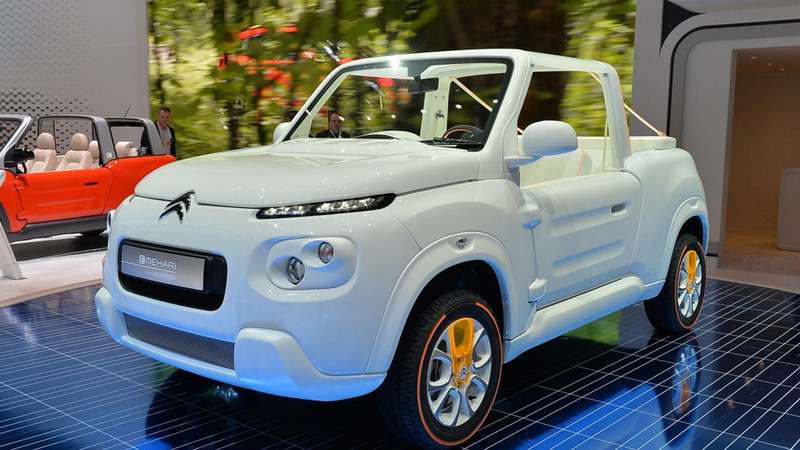 One of our readers has discovered the model is already available on Citroën’s website for France where it is listed with a starting price of €25,000.